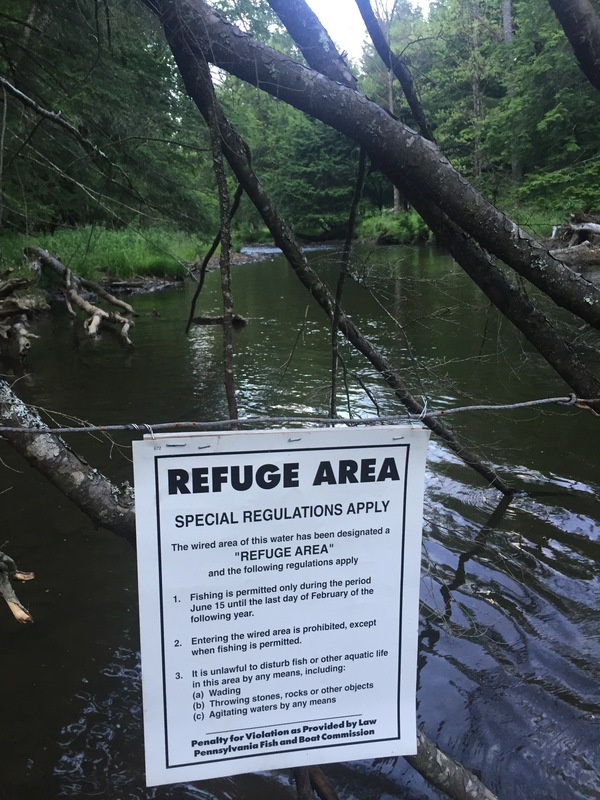 Made it up north to the Allegheny National Forest, and had some time late evening for a fishing trip. Next day was to be a washout, so better wet a line when I could! Water was low. Water was clear. Trout were hungry. Small hooks. Small weight. Small float. Small eggs. Fish on. 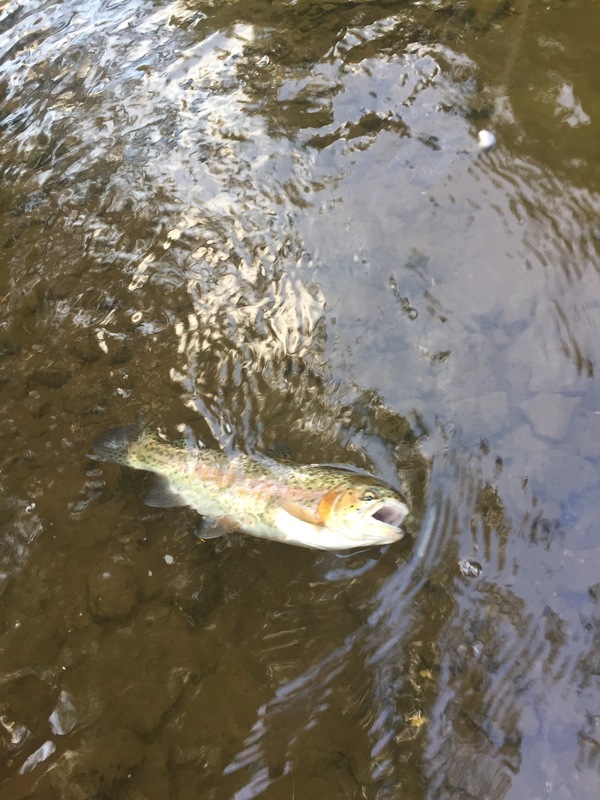 When a rainbow took my presentation first cast I knew it was going to be good. Lots of fish in the stream, and no footprints. Just the way I like it. Ended with a dozen when I decided to call it quits. Saved the best for last. 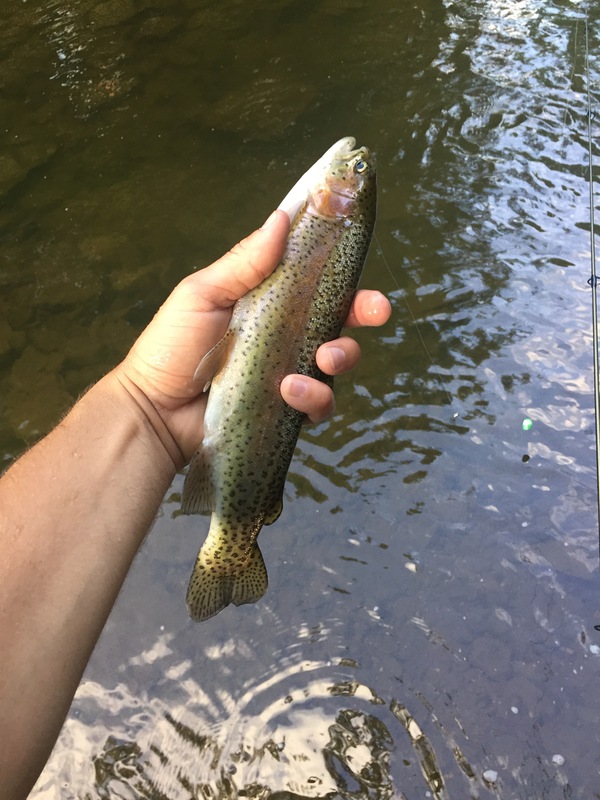 A three inch native rainbow. Thought it was a chub. Beautifully colored and healthy, it went straight back into the tree it came from. Peace and quiet. Trout all around. A great hour and a half spent on the water.